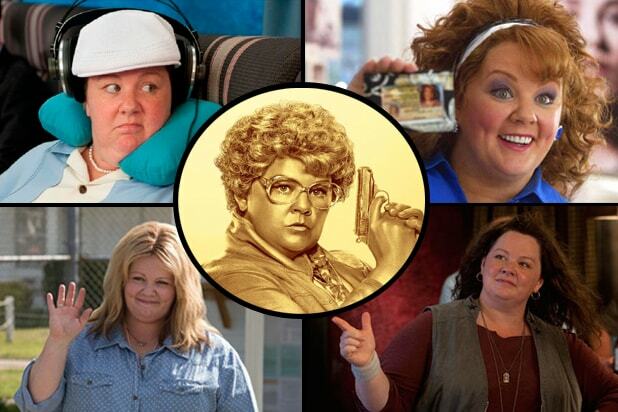 Melissa McCarthy, whose movie comedy “Spy” opens Friday, is not only able to run with some of the top male comics at the box office, she can beat them — and she’s a bargain. That’s the takeaway from a very unscientific survey conducted with the help of Box Office Mojo. We took the last four films in which McCarthy was the principal player and compared those to the most recent four of Kevin Hart, Will Ferrell and Jack Black. We focused on films in which they were the stars, though for each we included a buddy tale like “Ride Along” for Hart, or an ensemble outing like McCarthy’s “Bridesmaids,” as well. With “Bridesmaids,” which like “The Heat” and “Spy” is directed by Paul Feig, McCarthy has the highest-grossing release of any of the four at $288 million worldwide for Universal. McCarthy’s movies were third-lowest in terms of cost. Her last four cost an average of $33 million, while Hart’s ran an average of $25 million. Ferrell’s were the most expensive at $71 million per. McCarthy’s $184 million average gross per film was the best, just ahead of Ferrell’s $174 million. Given the budget differential, that’s a bargain. So what’s the key to her appeal?